Three main functions: bone, root, clean. The function of bone is mainly used for dental surgery, such as dental extraction, bone grafting, osteogenic distraction, endodontic surgery, alveolar nerve decompression, cyst removal, osteoplasty, bone harvesting techniques and periodontic surgery, etc. 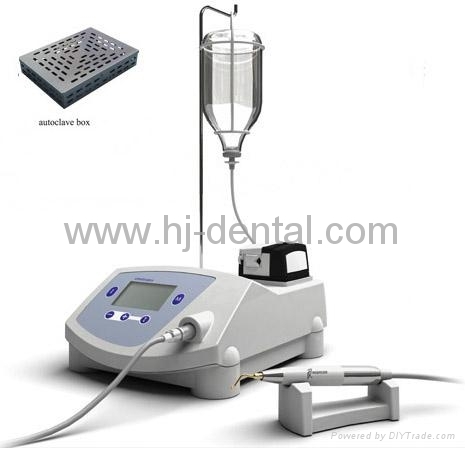 The function of root is mainly for mechanical ultrasonic treatment, such as periodontic, endodontic and prevention treatment. Handpiece, cable, tip holder, working tip and torque wrench can be autoclaved under the high temperature of 135℃ and the pressure of 0.22Mpa. The perfect monitor and alarm function of working process ensures the safety of machine and surgery.